As part of the Discovery season Capsule produced and curated a weekend of adventurous music, celebrating the very best in new music and performance. Which saw performances from visual artist turned sonic performer Dinos Chapman, South Africa’s Shangaan Electro, the ‘brain pulse music’ of Masaki Batoh, Josephine Foster, and more. The programme saw performances in the industrial space of the Rainbow Warehouse in Digbeth and the dynamic new Library of Birmingham. Brimming with subversive energy, searing wit and gallows humour, ‘Luftbobler’ is the acclaimed debut album by boundary pushing artist Dinos Chapman. Consisting of 13 tracks of electronic music, it is the result of a decade of experimenting with sound. Now comes the live show. An evolution of a series of short films created by Dinos Chapman to accompany the album’s release, the AV show will marry sound and visuals to create an immersive unforgettable experience. The high-speed dance phenomenon from South Africa has risen from streets into clubs and venues all around the globe. 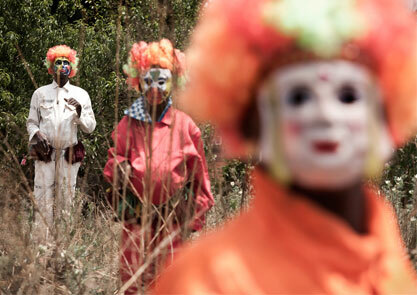 The creation of charismatic producer Nozinja, this is a very contemporary product of Africa. Based in Soweto, Nozinja saw the chance to update Shangaan music for the 21st Century, replacing its traditional bass/guitar instrumentation with midi-keyboard sounds and repitched vocal samples (in English and seemingly sampled from rave anthems). Propelled by jacking four-to-the-floor beats and trademark drum-fills, the sound quickly became a hit at weekly street parties in Soweto, with young and old competing to show off their moves to this dizzyingly fast music, which can reach speeds of up to 188 beats per minute.The craze soon went viral in Europe and the US via a vast archive of youtube videos. Deafheaven is an American post-black metal band that formed in 2010. The San Francisco-based group began as a two-piece with George Clarke and Kerry McCoy who recorded and self-released a demo album together. 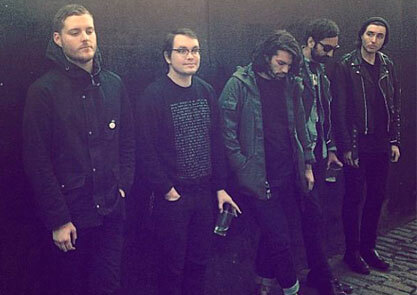 After a warm reception, Deafheaven recruited three new members and began to tour. Before the close of 2010, the band signed to Deathwish Inc. and later released their debut album Roads to Judah in April 2011. The follow-up album, Sunbather, was released on June 11, 2013 by Deathwish. Hordes were formed in the gutters of Birmingham in the winter of 2011. Fusing oppresive sludge heaviness with gnarled black metal intensity, they are truly a product of their environment. Unlike a number of black metal acts, Hordes do not reflect the natural woodlands or icy plains, instead opting for a street-level view of their Midlands hometown like their predecessors Black Sabbath and Godflesh. With lyrical content unashamedly negative, they plunge you headfirst into a howling urbanized vortex of bad vibes, depression, blood and bile. 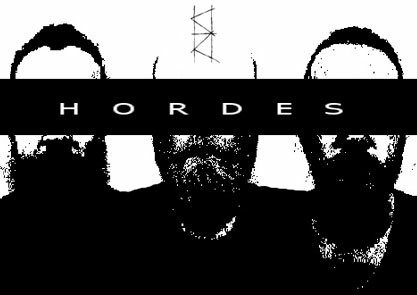 Featuring current and ex-members of Birmingham acts Mistress, Bargepole, I Am Colossus as well as a touring member of Anaal Nathrakh, their live show and brace of EPs have seen lofty praise thrown in their direction already; with the latter part of 2013 bringing shows with the likes of Winterfylleth and Caina. They will die as they lived. Under concrete monoliths. Sleaford Mods don’t sound like anything else. Sleaford Mods are the realest band out there right now. Sleaford Mods ARE right now. And if you think “Mod” is just about dressing up like “page 7 Weller” and boring on about Small Faces all day and night on yer reissue 60s Vespa, then don’t bother mate. 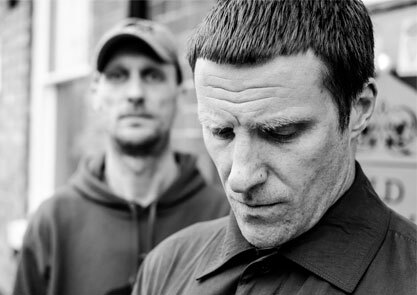 If you don’t “get” Sleaford Mods you are one of them, “the enemy”. Seriously the best music/act to come out of this spoilt, over-saturated musical farmyard we call the UK since the Pistols. Yep, that’s right. “Mainlining a torrent of psycho-delic, reverb drenched, doomsday motorik and improvised sounds is the master and mystery of Gnod. Audiences have come to expect bizarre humanoid toasting over cosmic synth eeriness pinned down with a combination of duelling deep-vein-thrombosis juggernaut riffs and heart-pounding beats. Gnod explore the possibilities of a big, awesome sound with an uncompromising aesthetic. A blackened drone drenched world of slime and knives and fire, dense clouds of distorted howls, a thick cloak of fuzz and buzz. Actually this is a lot prettier than you might imagine. That is, if your idea of pretty includes tons of low end and a world of slow motion doomdrone. 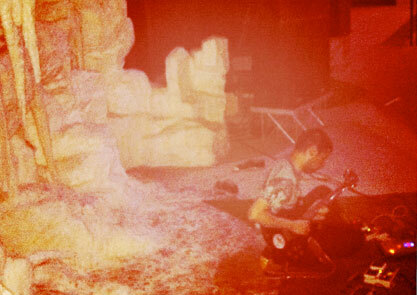 They make huge growling, glowing slabs of slow shifting low end. Slowed down riffs and long dark streaks of moaning sound, broadening the realm of modern psychedelia music. The duo of Daniel O’Sullivan and Alexander Tucker will be familiar to any Supersonic fans, Tucker performed to a packed out Theatre space in 2011 and also performed in 2006 and 2008 (watch). 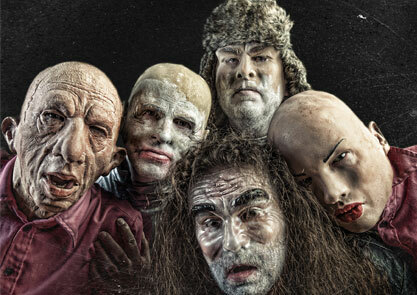 O’Sullivan has performed at the festival under various guises including Miasma and the Carousel of Headless Horses (watch), Guapo and Mothlite. In between Herzog’s Aguirre and Levi Strauss’ Sad Tropics, mysterious and psychoactive, High Wolf’s music mixes cosmic loops, fuzzy guitars, droney synths, mystic vocals and tribal percussions, inspired by primitive and ritual music as well as adventurous modern music. Hyperactive and globalized artist, continuously on the move all around the globe, High Wolf never stops to produce and collaborate from the beginning, in 2009. In the same spirit than Sun Araw, some of the Sublime Frequencies artists and classic Krautrock legends High Wolf opens a mental and synaesthesic window with his equatorial electronic psychedelia. Kogumaza formed in Nottingham in 2009. 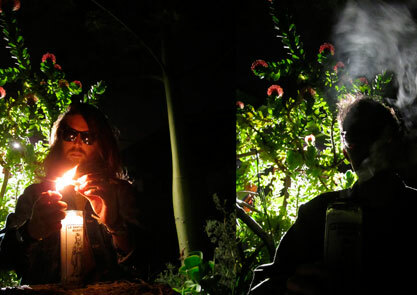 They use primitive rhythms, patterns and riffs to create dense and mesmeric song-cycles. 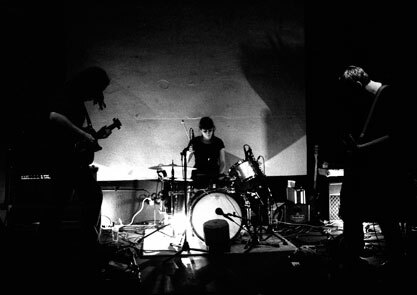 The band’s live sound is manipulated through dub delays and echoes, allowing what is basically a heavy rock trio to expand and willingly lose control of the sound they make as they make it. The resulting music marries fuzzed-out psychedelia to an ambient aesthetic, placing the band somewhere between the infinite repetition of Moondog, the thick gloop of Master Of Reality-era Sabbath and the hypnotic pulse of Lungfish. If you’ve seen him live, you know there’s no live performer quite like Richard, from the serial between-song belly laughs he induces to his unique angular guitar style and raw, soaring voice. 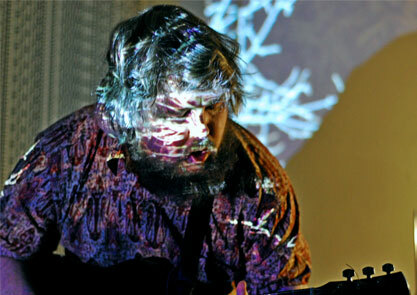 Singer, storyteller and serial belly laugher, Richard Dawson introduces families to the wonders of experimental music with his playful guitar style, soaring voice and original songs from lost stories and people’s histories. 2pm at Symphony Hall, Centenary Square, FREE. 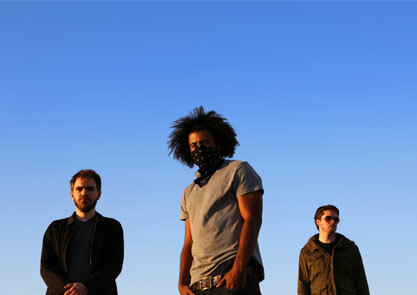 Formed in 2009, initially as a remix project, clipping. acquired a vocalist in 2011 and began pursuing music-making at the intersection of gangster rap, music concrete and harsh noise. With tracks crafted by experienced minimalist noise artist William Hutson (Rale) and film soundtrack composer Jonathan Snipes (ex-Captain Ahab), they are not only capturing this level of threat and agitation, but also the cinematic barrenness of sprawling cement, fields of litter, and endless trees with every branch chopped off and painted black. Front man Daveed Diggs is not just quick with his words, but incredibly precise. He brings out the rhythm of the seemingly rhythmless. He punctuates melodies made out of negative space. Yes, they know about noise. But this is hip hop. Brain Pulse Music is the result of years of research into the bioelectric functions of the human brain combined with the traumatic aftermath of Japan’s Great East Earthquake. 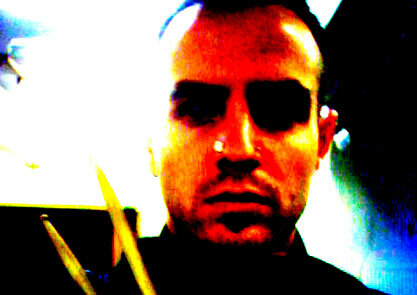 Brain Pulse Music is contrived from brain waves, in the purest sense of the word. 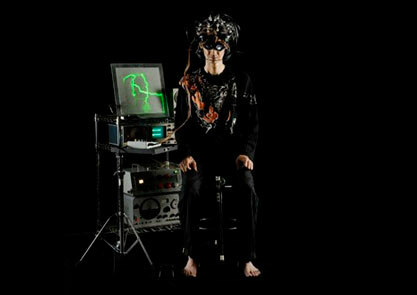 Batoh’s intention was to create a machine, similar in function to an effects pedal, which would interface with the brain waves in a therapeutic way allowing the user to make adjustments to normalise brain wave levels. All the tracks are a prayer/requiem. They are a “tamashizume” (a requies- cat) and “tamafuri” (reinvigoration of the withered soul) to the victims of the Great East Japan Earthquake. Two pieces are composed of BPM machine recordings; the remaining five are rhythms and melodies commonly heard in religious rituals and provincial festivals using traditional Japanese instruments. The BPM recordings are the furthest incursion Batoh has made into the deep space and mystery of the human condition. The acoustic recordings are the purest expressions of his traditional folk influence that he has released in over twenty years of music-making, a deep and soulful expression intended to calm and aid in the healing of all around him. And so from the rubble of Japan’s damaged bodies and minds, the power of Brain Pulse Music has emerged. Electronic musician and tech savant Sarah Angliss is known for her singularly embodied performance which mixes theremin, saw and electronics with the ensemble of strange automata she’s created to work with her on stage. Sarah’s music reflects her lifelong obsessions with defunct technology, faded variety acts and the darkest European folk tales. The peculiarly uncanny (Unheimlich) qualities of her act have attracted attention from cognitive scientists and magicians as well as music audiences. Primarily a live performer, Sarah’s recently been heard in the National Theatre, where she was commissioned to compose incidental music for Lucy Prebble’s The Effect. Sarah’s also been seen and heard at Flatpack, MS Stubnitz, the Horse Hospital, The Purcell Room, Green Man Festival, Lovebytes, The Bath Festival, The Brighton Digital Festival and live on national radio. Sarah made a guest appearance on the latest Moon Wiring Club album. Her electronic trio Spacedog have also been collaborating with Belbury Poly on a forthcoming Study Series recording for Ghost Box. In May, she was awarded ‘Most Groundbreaking Act of Brighton Festival and Fringe 2013’. Delia Darlings exist to pay sonic homage to pioneering composer Delia Derbyshire (1937-2001) via her archive held at University of Manchester. 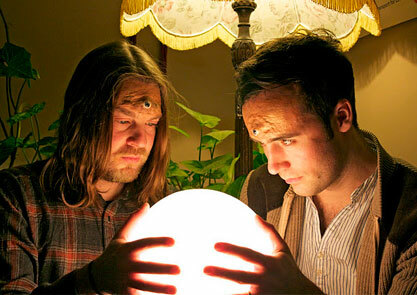 Currently, Delia Darlings are experimental electronic Caro C and contemporary classical Ailís Ní Ríain. After Delia Derbyshire Day in Manchester in Jan 2013, the darlings have an info-show that spreads the magic of fascinating Delia’s archive. 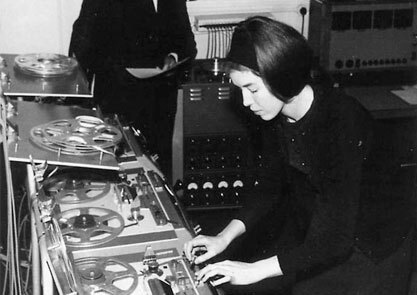 The aim of this project is to increase the profile and honour the legacy of the late great Delia Derbyshire (one of the pioneers of electronic and experimental music in UK in the 1960s), as well as championing female experimental composers past and present. Laurence Hunt is an explorer in the realm of sound; whether playing drums/percussion with Birmingham “wrong pop” legends Pram, revealing the hidden potential with Modified Toy Orchestra, or pursuing various other projects/installations/collaborations, the universe leads and he follows striving to hear that which he has not heard before. Inspiration for this solo venture is a cross pollination of early electronic soundscapes (think the BBC’s Radiophonic Workshop) and free jazz improvisation (akin to Russian drummer Vladimir Tarasov “634 measures”). The constantly evolving structure is a pool of ideas/experiments/discoveries, echoing the very first hammer strike of Birmingham’s industrial roots and the ever changing architectural canvas of a metropolis regenerating.